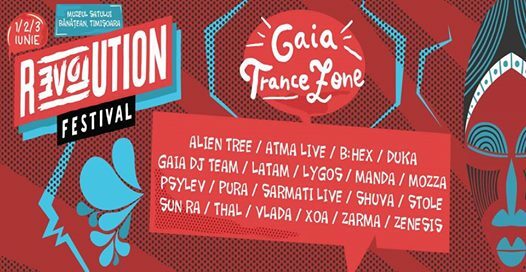 For the second year in a row, Revolution Festival Timișoara hosts Gaia Trance Zone, the psytrance stage that has been embraced by many at the 2016 edition, and helps promoting one of the most widespread electronic music genres at the moment. Created in the early 1990s and booming in the past decade, this music has strong energy while it unites people from all over the world in some of the most beautiful places on Earth. Psytrance stands in fact for more, it is cultural activism spreading through dance, exchange of emotions and mutual respect of for different cultures, connecting them through a very complex sound. The notion of Gaia comes from the idea that the only thing we cannot neglect as citizens of this Planet is that we are a Unity and that we need to take care of each other, the same way It took care of us when we were growing up and developing. See you on the dance floor!